The Lubrigard Polytank Lubricant Storage System (POD) combines, filtration, storage and breather technologies all in one small package designed to keep your lubricants clean during storage, and before they enter your equipment. The Lubrigard Polytank Lubricant Storage System combines easy storage with solid contamination control practices. A filtration system allows for pre-filtering of fluids during fill and filtration of lubricants while in the storage system to ensure optimal fluid cleanliness. Dedicated air pumps provide segregated fill and dispensing operations which prevent cross-contamination of oils. Segregated hoses are equipped with quick disconnects for easy and clean filling and dispensing tasks. Integrated desiccant air breathers ensure that oil is dept particulate and moisture free during storage. The Lubrigard Polytank Lubricant Storage System features sturdy stackable 70 and 140 gallon poly tanks that are easy to set-up and free up valuable floor space. 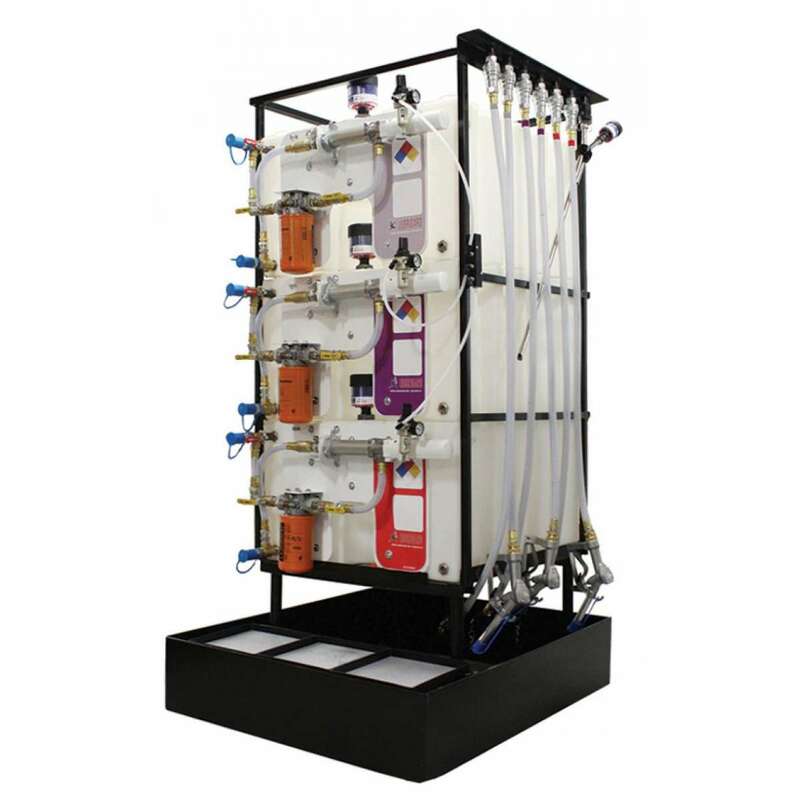 For ease of set-up and use, compact storage design, and built-in features, the Lubrigard Polytank Lubricant Storage System is the most economical 3-way filtration system on the market today.